DEI Speed Sleeves, Exhaust Wrap Jackets This kit provides everything you need to cover your headers on your exhaust. DEI Speed Sleeves, Exhaust Wrap Jackets are easily installed in tight engine compartments. 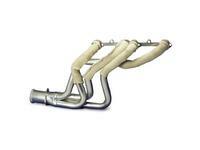 Great for trouble shooting specific components that are close to the exhaust header like ignition wires or fuel line. A fantastic alternative to wrapping the entire exhaust header. DEI Speed Sleeves, Exhaust Wrap Jackets 010114 Up to an 6 Cylinder This kit provides everything you need to cover your headers on your exhaust. DEI Speed Sleeves, Exhaust Wrap Jackets 010115 Up to an 8 Cylinder This kit provides everything you need to cover your headers on your exhaust.